We need to add a Mod10 or a Mod43 custom function to an IDAutomation product for Crystal Reports. Can you provide a general guide for it? •	In the Formula Workshop, choose the ‘white paper icon’ > Custom Function > enter in the name mod43calc and choose the Use Editor button. 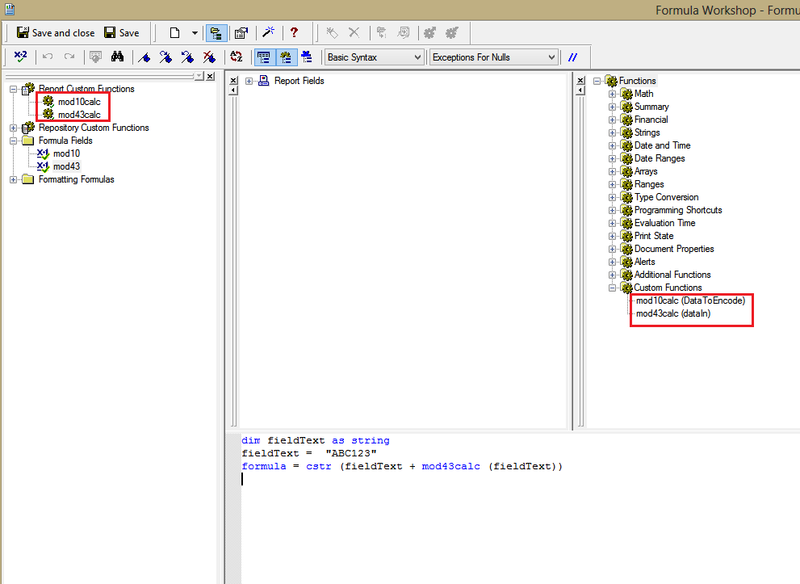 •	In the Formula Workshop, choose the ‘white paper icon’ > Custom Function > enter in the name mod10calc and choose the Use Editor button. Support Note: There is an example report available showing the implementation.